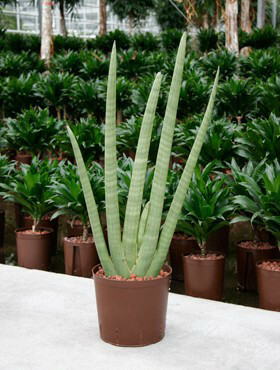 Notes:- Most Sansevieria for indoor use are native to tropical west Africa. They are slow growing, clump forming, and reach about 1m in height. 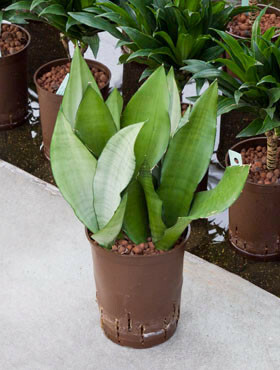 The light levels these plants tolerate, from low to good, makes them very adaptable. 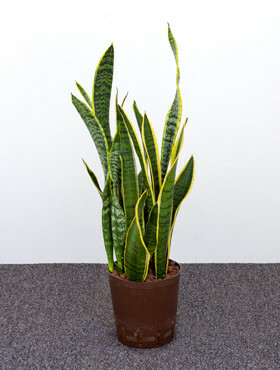 Sansevieria are also very good air purifiers.